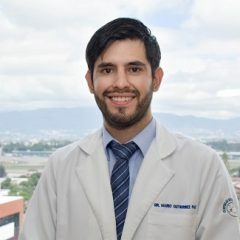 Dr. Oscar Terraza Mejía is a perfect example of the brightest young Guatemalan doctors graduating from the best medical schools in this decade, mastering the latest high-tech medical procedures that may not have even been considered only a generation ago. 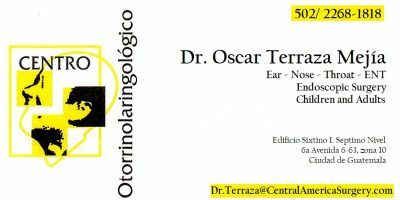 Dr. Terraza has been offering the full spectrum of “Ear, Nose & Throat” diagnostics, treatment, and surgery, for children and adults, in Spanish and in English, at Centro Otorrinolaringológico, S.A. since 2014. 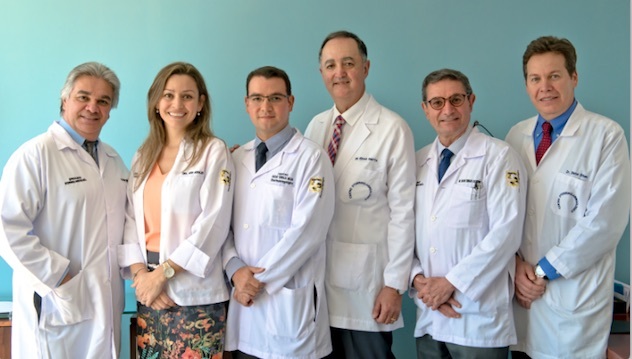 At the otorhinolaryngology clinic that he shares with five other specialists, Dr. Terraza can perform diagnostic testing, such as fiber optic laryngoscopy and sound-secluded audiometry for hearing loss, as well as routine ambulatory procedures. 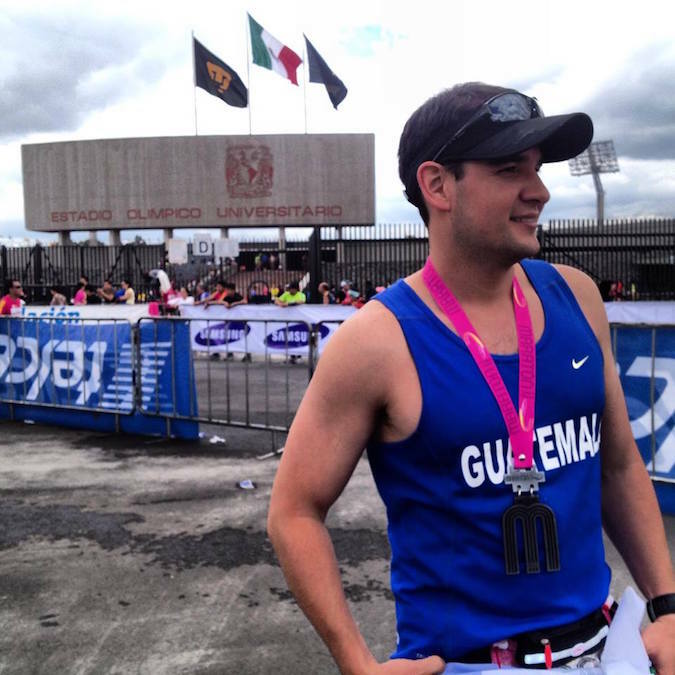 For more complicated or high-risk cases, he depends on the most highly-respected private hospitals in Guatemala City to provide the precise instrumentation and devoted personal care, to assure the best possible outcome for his patients, exactly as he had planned. When hearing-impaired patients can identify sounds clearly and distinctly, some for the very first time, Dr. Terraza experiences a professional accomplishment and personal joy in providing a quality of life that these patients may not have thought possible. Dr. Terraza is certified by MED-El, the leading manufacturer of innovative medical devices and implantable hearing solution for the treatment of various types and degrees of hearing. Their products are the result of 30 years of focused research, and commitment to excellence. When patients arrive at his office suffering from various seemingly unrelated symptoms like loss of balance, sore throat and runny nose, it may be more than just a common cold, but connected to something unseen and more severe. Allergic rhinitis is sometimes accompanied with impaired hearing and watery eyes. Ear Infections will affect 70% of children before their 6th birthday, due to the Eustachian tube not being fully developed yet. Sinus Infections can happen at any point in the three pairs of sinuses, the tiny air chambers behind your forehead, eyes, and cheeks. Tonsillectomy may be required when theses glands in your throat, which normally fight infection, become infected and inflamed themselves. Surgical procedures involving the ear, nose and throat are performed every day – minimally invasive, and reliably successful. 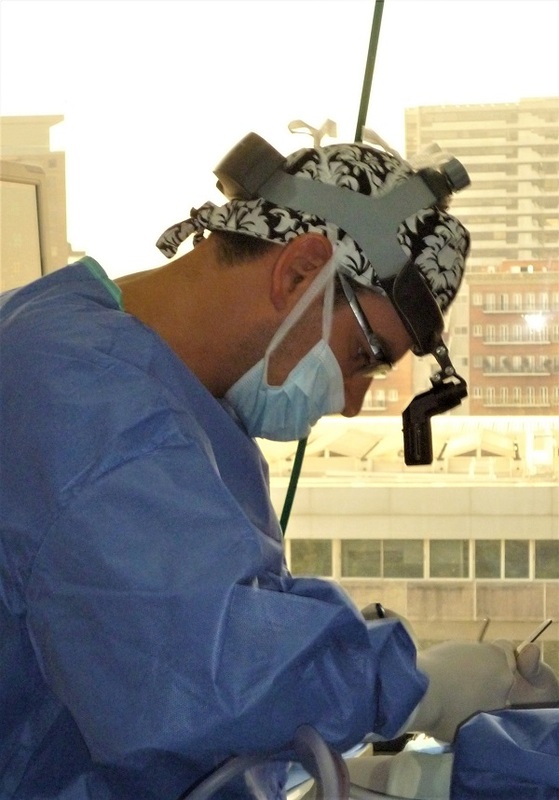 To get a clear look and better access to the nasopharyngeal anatomy, Dr. Terraza might use a fiber optic scope to provide higher resolution, lighting, suction, and more effective instrument ports. Current fiber optic nasopharyngoscopes are lighted and flexible, with 2-way articulation, to provide inline viewing with photo and video capabilities for the surgeon to see the larynx, vocal chords, and sinus openings. Moreover, they can have a diameter as small as 2 mm, so they don’t disturb surrounding tissue. Dr. Terraza is always available for emergency attention, but he says, “If you have an upper respiratory infection and over- the-counter medication is not working after 48 hours, then you should consult with the doctor in order to avoid any emergency. To keep your flow of breath clean and unobstructed, it is best to get a comprehensive ENT check-up with a skilled specialist like Dr. Terraza. 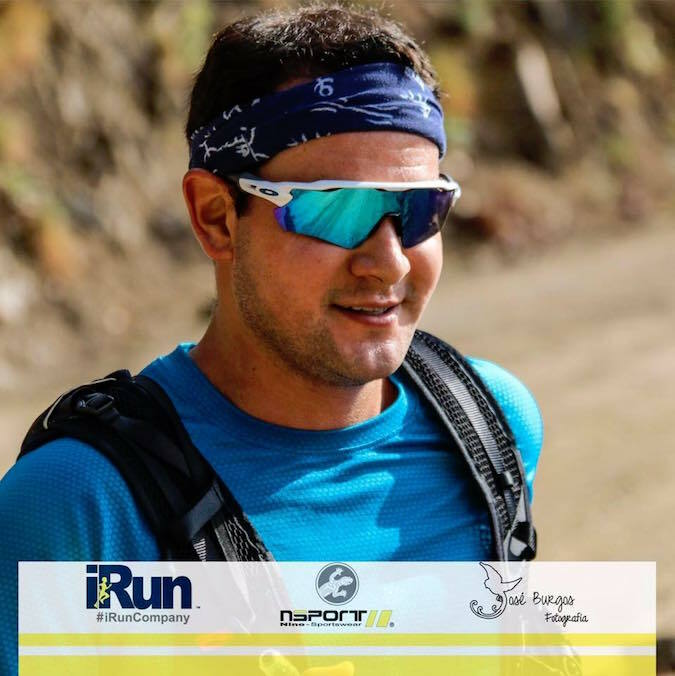 He has the patience and humor to win the trust of your children, and the confidence and precision to correctly evaluate your situation, to start you on a treatment plan right away so that all of your family are back to perfect health in no time. The SMORLCCC stays in close contact with their members via their website, to include them in courses, conferences, and other activities related to their specialty. The most important governing statute is to disseminate information about the most recent research, techniques, and materials, as they apply to ear, nose and throat specialties. 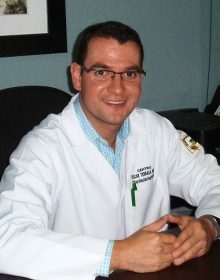 Dr. Terraza takes a special interest in placing cochlear implants by MED-EL for his patients with profound hearing loss. When hearing-impaired patients can identify sounds clearly and distinctly, some for the very first time, Dr. Terraza experiences a professional accomplishment and personal joy in providing a quality of life that these patients may not have thought possible. MED-El is the leading manufacturer of innovative medical devices and implantable hearing solution for the treatment of various types and degrees of hearing. Their products are the result of 30 years of focused research, and commitment by its founders to fostering a company culture of excellence. 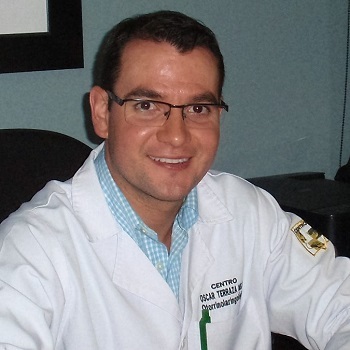 Dr. Oscar Terraza is certified in all aspects of providing hearing products and medical procedures to the highest level of global quality standards. The Fatima Children’s Home, or Hogar de Niños Fatima, is a non-government charity organization founded in 2002. They provide a loving home, education, health care for about forty children up to 14 years old who have suffered from abandonment, violence, and abuse. Their goal is to provide the children with legal, medical and psychological help to improve their well-being until their domestic issues can be resolved. 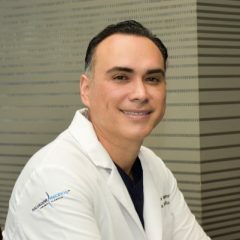 Dr. Terraza gives his heart and his time to these kids who are in desperate need of caring and devoted role models, as well as proper medical attention. 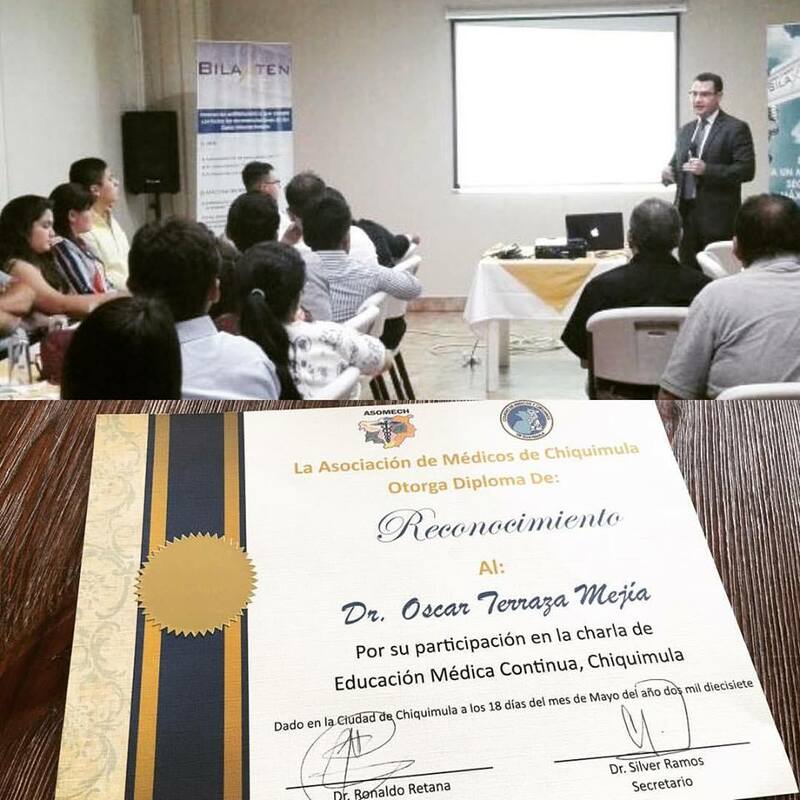 In October 2016, Dr. Terraza will be in Quiche, Guatemala providing check-ups and ENT procedures needy families. The Hogar de Niños Fatima, foundation depends only on the generous contributions of doctors, and other professional benefactors, and personal donations. Please go to their website to support Dr. Terraza’s good work and offer the children the protection and attention they need to have a better chance in life. 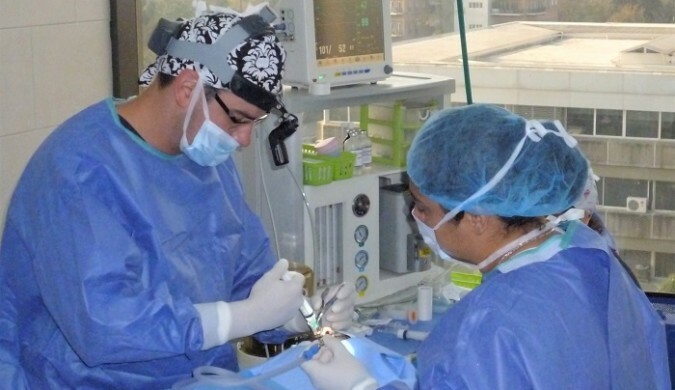 After suffering for several years with a facial tumor, disfiguring his appearance, and causing pain and nasal congestion, the gentleman from Coban finally visited Guatemala City for the best quality medical attention available. 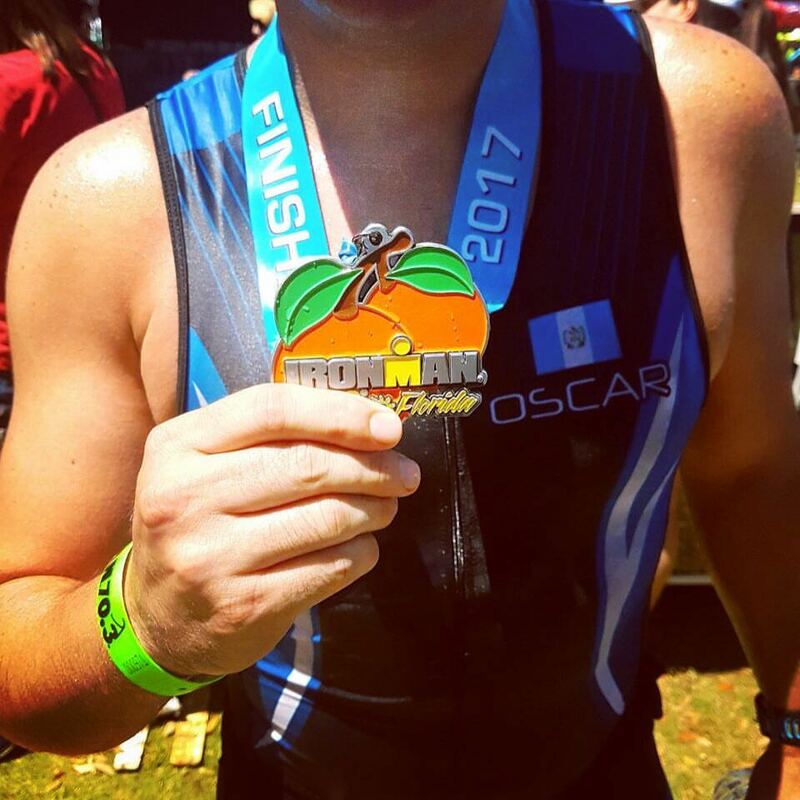 Dr. Terraza carefully examined and investigated the unusual tumor, deliberated over the MRI results, then determined the correct diagnosis and treatment plan. Dr. Terraza’s patient had an adenoid hypertrophy, which is an upper airway obstruction that usually forms in children up to ten years of age. Children have routine procedures to remove adenoids and tonsils if they become inflamed and no longer fight infection. In adults, like this 63-year-old gentleman, the hypertrophy could lead to cardiopulmonary complication such as pulmonary hypertension and even heart failure. This patient received the finest care and the surgical procedure that restored his natural appearance and ability to breathe deeply, clearly and normally. He now understands the value of consulting with the best doctors as soon as possible, to receive quality medical care to improve his personal comfort, physical ability and overall quality of life. Sixtino One is on 6th Avenue at 6th Street in zone 10, Six blocks east of Av. Reforma near the entrance to UFM.